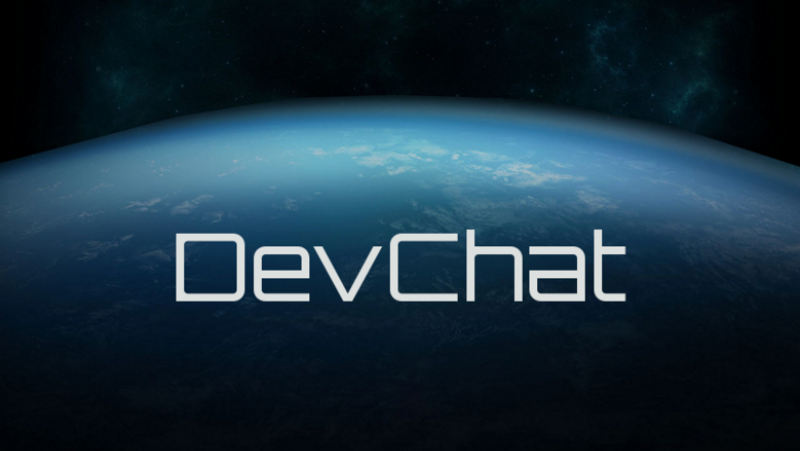 Welcome to another episode of DevChat, covering July 24-25! First, a brief explainer. DevChat combs through the RSI chat logs, and picks out any interesting comments made by Devs. It amalgamates them, and puts them here, with quotes. While I try to provide context to the comments made by Devs here, these comments sometime have a very off-the-cuff nature, and everything here should be taken, maybe not with a grain of salt, but for what it is. Interesting, helpful, though not always 100% official, information. Lots of news on the 24th, mostly from CIG’s Matt Sherman. Time to Kill in 1.1.5 is landing close to CIG’s target. (1:00:38 PM) CIG Matt Sherman: Drift is more a back/forth thing, TTK from what we’ve seen is actually landing really close to our target. Armour is not in 1.1.5, it will wait for the physically based damage system, but the ‘helmet-kill’ bug should be fixed. (1:06:49 PM) CIG Matt Sherman: Had to check on a few things, missed a couple things. Armor is not in 1.1.5, that’s going to be more with the physically based damage. Also, the helmet-kill bug should be fixed for 1.1.5, damage should be going to the ship where it’s supposed to. (1:09:10 PM) CIG Matt Sherman: But regardless of the cause, the issue should be fixed in 1.1.5. Though depending on what ship you’re in and what ship is attacking you, there’s still a chance you could take single-volley lethal damage, especially in a head-on joust. (1:11:43 PM) CIG Matt Sherman: Armor in general isn’t implemented. Anything that may be lingering in a ship/etc is more early test work than what is planned for the new damage system. (1:12:40 PM) CIG Matt Sherman: It’ll change TTK, but shouldn’t take it too far off the current target numbers. All of the barrel sizes for for guns will be re-done when Physically-based Damage System is implemented. There will still be large cannons, but they’ll be at the appropriate weapon sizes. Currently, barrel sizes don’t match the data. (1:18:57 PM) CIG Matt Sherman: If everything lines up with the updated damage system, the gattling on the Vanguard would be roughly 70mm shots. (1:19:31 PM) CIG Matt Sherman: And not to give out all the data yet since it’s still being tuned, but all of the ballistic shell and barrel sizes are going to be reworked to more physically-possible. (1:20:17 PM) CIG Matt Sherman: Like the current Mantis barrels, if you measure them, they’re actually 63mm barrels, which is effectively a mortar round, but that doesn’t make sense for feeding through the winds. (1:20:39 PM) CIG Matt Sherman: Especially when a gattling would be the smallest barrel between it, repeaters, and cannons. (1:21:06 PM) CIG Matt Sherman: Nope, and don’t take any diameters from old concepts as solid any more. Everything is getting changed. (1:22:34 PM) CIG Matt Sherman: There’s going to be big cannons, but at the appropriate weapon size. (1:24:39 PM) CIG Matt Sherman: Vanduul weapon sizes aren’t matched to normal weapons, we just didn’t want to hold up getting the scythe out to rescale all of that info since there’s not really going to be many oportunities for interchanging parts on vanduul ships. (1:27:23 PM) CIG Matt Sherman: Ya, the barrels don’t really match the data, so that’s a big thing that’s planned for cleanup with the upcoming damage system. (1:28:00 PM) CIG Matt Sherman: We’ll still have a ~70mm gattling, but not at the same size-class as the Mantis, it’ll be appropriately bigger. (1:28:56 PM) CIG Matt Sherman: Hoping for this year, but can’t say for certain as complications can always come up,. (1:41:50 PM) CIG Matt Sherman: @Chaos: Ideally a lot will be exposed info. One of the old stretch goals was basically Janes-style reference manuals, so really working to make sure the updates can serve as a front-facing backbone of that data. As well, when the physically based damage system gets setup, Ammo will get a re-work. (7:56:25 PM) CIG Matt Sherman: Ammo is going to be getting a more full rework once the physically based damage system gets setup. Grabby hands will probably not take advantage of the oculus touch system. 500m/s is a speed-cap in CryEngine for complex objects (like ships), and while there will be some over-all speed-caps to make sure things stay playable, you’ll be locked on course during things like Quantum and Jump travel, and for Quantum drive, you’ll drop out of Quantum at 0m/s. (6:44:38 PM) CIG Matt Sherman: There’s still going to be some overall speed-caps to make sure things stay playable. (6:45:03 PM) CIG Matt Sherman: When you’re going through Quantum or Jump travel, that’s where we can abstract the speeds more to very high speed for distance travel. (6:48:08 PM) CIG Matt Sherman: I wouldn’t expect many collisions in Quantum drive, even more so anything like an intentional ram with that, because the plan is you’d drop out of Quantum at 0m/s, not travelling as some sort of quantum bullet. (6:50:04 PM) CIG Matt Sherman: @Zol: There will be high-speed travel like Quantum and Jump, but you’ll be more doing locked course travel for that, and it won’t be a situation where you’d ever get into fights at those speeds. (6:57:48 PM) CIG Matt Sherman: 500m/s is a speed-cap in CryEngine for more complex objects, yes. (6:58:16 PM) CIG Matt Sherman: Particles like a bullet can travel faster, but anything more tangible is limited to make sure it doesn’t clog things down. The Freelancer will likely be the third multicrew ship that CIG focus on getting ready for AC 2.0. (8:09:59 PM) CIG Ben Lesnick: It will eventually, but I think the Freelancer will probably be the third multicrew they focus on. (8:10:10 PM) CIG Matt Sherman: Redeemer is still going to be a ways out from being added for flight ready. Nothing notable on the 25th, though W. Leverett and other CIG employees spent a lot of time in chat talking about issues with AC servers. And that’s all for today’s edition of DevChat! Stay tuned for another episode coming sometime early next week!